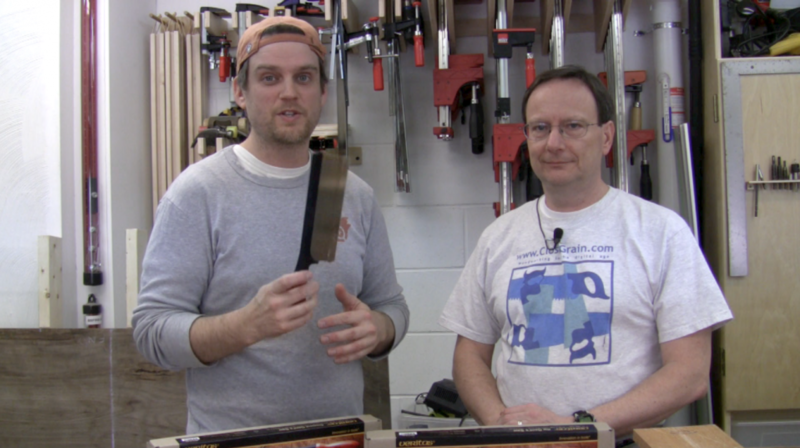 I invited Steve Branam from Close Grain to try out a couple of new Gent’s Saws from Veritas. He put them through the paces for a few weeks in his shop and then stopped by to give me his thoughts. We had a lot of fun chatting about the saws and I got some good tips from Steve on sawing techniques. Steve demonstrates the crosscut saw by extending his forefinger down the handle to help guide the cut. 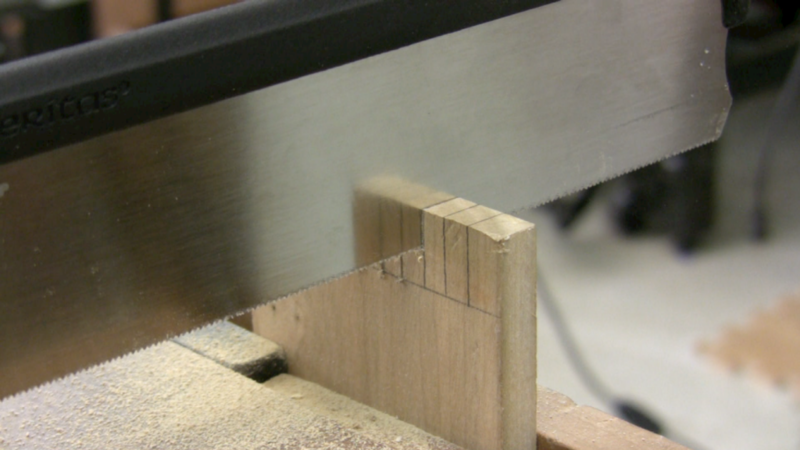 Practice sawing by drawing multiple vertical lines and then saw down each one. Just a dozen or so quick cuts will begin to get you straight results! Thanks to Steve for stopping by and helping me check out these saws. 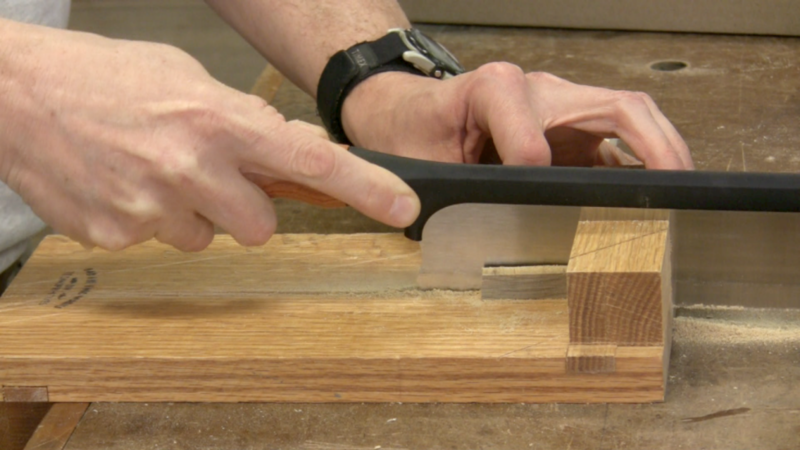 Definitely check out Steve’s Blog – it’s full of great handtool posts.